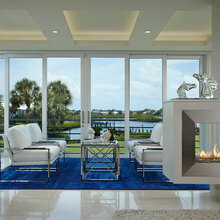 Feature in Florida Design 25th Anniversary Sourcebook. 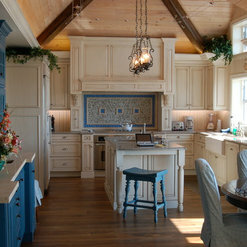 12 Projects for Integrative Designs Inc.
15 Reviews for Integrative Designs Inc. 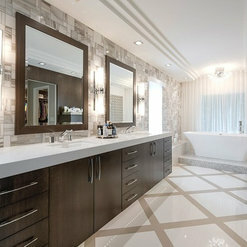 When working Integrative Designs you can expect quality and reliability to put a project together with class and style. As a retailer, I was quite impressed with Donna's ability to visualize create a truly beautiful finished product. Donna and Mike did a fabulous job of renovating two areas of our home. Outside kitchen and theater room. Most importantly they stood behind their work. They are amazing to work with. They listen to your likes and dislikes, unlike other designers doing it their way, and what they believe you should do. Always answers your questions quickly and makes the time for you. Mike is a very talented creative designer. We called him the home magician! He was able to utilize what we had and add to it to create our beautiful home. He listens well so our home really reflected our lifestyle. Would definitely recommend him. We hired IDI to design a new kitchen. They were very professional. The design was beautiful and the work was done on schedule. Any problems were addressed immediately. We were very happy with results. 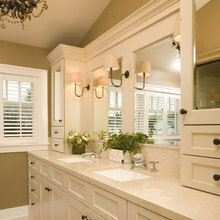 One year later we decided to redo master bathroom. Outstanding design and materials. Highly recommend this team. Working with Integrated Design has been more then a pleasure. Working directly on numerous projects with Designers Donna Amerino and Mike Maloney are always something unique to experience. The attention to detail and total hands on every one of their projects is amazing. 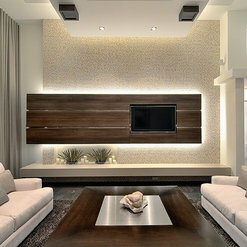 We truly are appreciative Integrated Design chooses Catalfamo Gallery for all their floor and wall coverings. 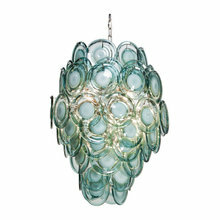 And a BIG congratulations for recently being featured Florida Design Magazine. Your design are awesome. Donna and Mike designed and reconfigured our recently purchased waterfront home in Jupiter, Florida. My wife and I couldn't be happier with the final product. Every last detail was professionally handled and our new home is unique and special. We are constantly getting compliments from our neighbors and friends. Donna and Mike had the vision to make our dream a reality. 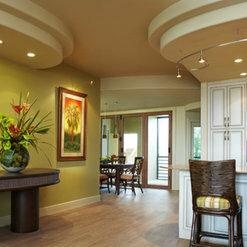 When Hurricane Wilma ruined our home near the ocean, we called Mike and Lynn of IDI immediately to work with our contractor to upgrade and redesign most of the rooms. We had already worked with this creative team on smaller projects and had no hesitation to hire them again: Mike's unerring eye for design, Lynn's ability to find the right materials, their mutual willingness to listen to my own ideas and even follow my eye made the renovation an exciting experience (despite the circumstances). Daily, I look at our "brand new home," our curving driveway, the fitting landscaping and am thrilled. People walk by and ask to look around. And why not? Mike and Lynn Maloney made this happen. It was a pleasure working with Mike and Donna. They listened to what I wanted to incorporate into our new home, made suggestions of other ideas and when I did not like what they suggested they were open to other ideas. I had not worked with either of them before, but appreciated their honesty. They had a vision for things I did not see, but now love. We chose IDI ( Integrative Designs) based on personal recommendations of their prior clients and visits to their completed projects. IDI met with us multiple times to develop an understanding of our desires. This led to their design which was creative, unique, appropriate for our location and fulfilled our wishes. IDI was instrumental in leading us to our contractor and to certain subs who proved to be critical to the completion of the project.The project was difficult for us as we were at great distance from the site and could not be present for the majority of the construction. IDI was our surrogate in overseeing the project. They interacted constructively with the builder and subs and communicated with us throughout the process. They guided us when choices needed to be made regarding products or design features. The final product is exceptional; elegant and beautiful with a "wow" factor that we will be enjoying for many years to come. It has been our extreme pleasure working with Integrative Designs, Inc. on our custom home from the conceptual planning phase all the way through construction and completion of the interior design. 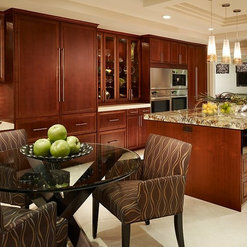 The end result is a magnificent elegantly appointed home. 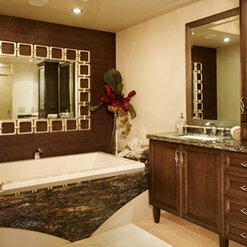 The well thought out design details implemented in every area truly surpassed our original expectations. 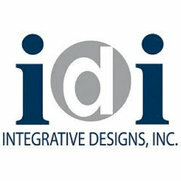 The team at Integrative Designs were very professional and their commitment to excellence was much appreciated. 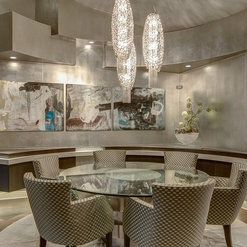 Having known Michael and Lynn Maloney for over 10 years and working on projects with them, as a designer the highest compliment I could give to integrative designs was to have them work on my home with me. Everything that was done made my home quite unique . 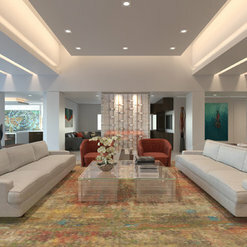 The complete design made me truly ecstatic .iAnd I couldn't have asked for more..
4 Ideabooks for Integrative Designs Inc. Commented: What is the material used for the skirt (front) of the countertop?Satin polished stainless steel. Commented: Modern chicThis was the client's existing dining table that we had cut down. 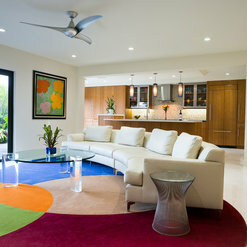 Commented: Love the rug, where can I find it?This was the clients coffee table from another home. Commented: What is the wall material?The material is a Verona Ashlar Pattern. It is no longer available but a similar material can be found at Catalfamo Gallery in Ft Lauderdale. Hope this helps!